Music and storytelling with Kalanikumupa'a Kaha'iali'i and Elderwise. 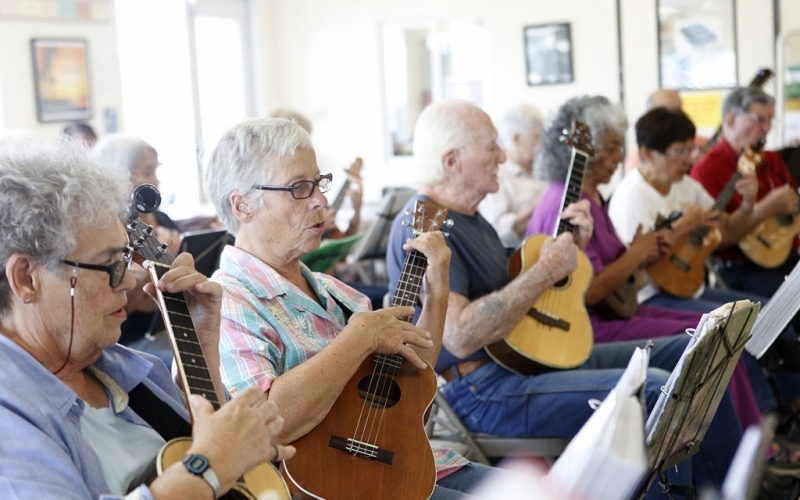 Individuals with memory loss and care partners are invited to strum Hawaiian tunes, sing-along, and share stories, in a new program with local artist Kalanikumupa'a Kaha'iali'i in partnership with Elderwise! Don't miss this multi-cultural celebration of song, storytelling, and kupuna [elders]. Instruments will be provided, and no experience is necessary. Generously funded by the Hazel Miller Foundation, ArtsWA, Community Foundation of Snohomish County, and Anne & Mary Arts & Environmental Education Fund.